Need a working space while on the move? Look for a work space near you! We offer work space to entrepreneurs who are working on their business. Whether you are an entrepreneur with an idea or have already created a business and are now looking to expand your reach, we can help. 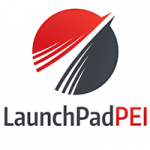 LaunchPad PEI has been providing assistance and support to Prince Edward Island startups for over 10 years and has dedicated entrepreneurial spaces in Charlottetown, Montague and Summerside. We have assisted local entrepreneurs as they begin operations and established companies that have expanded to PEI. Our partners can help your company find technical resources, funding programs that assist with product development and marketing, and we have a partnership with a regional accelerator. 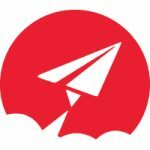 We have a strong history of assisting startups who have attracted investment and made successful exits. 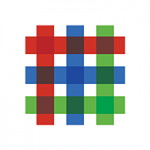 Common Ground is St. John’s first coworking space and startup house. Located downtown, this not-for-profit offers a beautiful 4,000 sq. ft. space that overlooks the narrows and is filled with some of the city’s brightest entrepreneurs. A coming expansion to a cluster of downtown locations in the East End will offer new office, retail, creative and light industrial opportunities on a much bigger scale. Business Portals Inc.(BPI) has all-inclusive Business Centers in multiple locations in St. John’s, Newfoundland, Canada. Offering temporary executive business space rentals: multi-size offices and boardrooms with the latest video conferencing equipment. We offer a complete list of Virtual Services to enhance your business image with a professional address, telephone answering, mail handling, and executive administrative support. “Make our space your place”. Caledonia Place on Quidi Vidi Rd offers small boutique executive offices and the newest location on Church Hill situates a client in a cosmopolitan business setting in the central metropolitan core of downtown St. John’s. Old world charm locations blended with new world facilities appeals to any business looking for a flexible, full service office space with character. Our newly renovated spaces offer executive fully serviced offices, corporate boardroom and versatile training room facilities outfitted with audio/visual needs, high tech teleconferencing. BPI offers reasonable rates and flexible renting options all within a professional business environment. 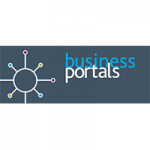 As well, Business Portals Inc. customizes various Virtual Services packages which provide communication, administrative support and address services for businesses who do not require dedicated office space. Or for those who only need an office or meeting room once in awhile yet need to have a virtual office! Close to the Downtown business core, our location offers quick access to financial and oil & gas districts, retail and hospitality businesses, as well as a variety of government offices. In short, this is where the action is! 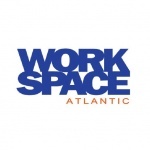 Workspace Atlantic was founded to embrace a culture of collaboration and changing work environments caused by the dramatic shifts in technology, increased requirements for flexibility, accountability and fiscal responsibility, as well as shifting work habits and management of risk. We take pride in offering an attention to detail and service that will help you overcome productivity challenges. Workspace provides the space, environment and flexible options most in demand today by freelancers, consultants, designers, small business owners, start-ups, visiting professionals and immigrant investors. We simply provide the freedom to work when, where and how you want with a distinctive business address and unparalleled work environment. The Workspace community proudly provides solutions, insights, mentoring and networking opportunities in a one to one or group setting from some of our areas leading experts and entrepreneurs, that typical office rentals do not provide. This human incubation approach of building your business and learning from and with others is the spirit of our community and the energy you will come to expect. 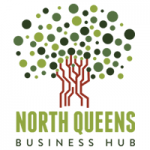 The North Queens Business Centre & Innovation Hub is a coworking facility in Caledonia, Queens County Nova Scotia. We provide office and meeting space, equipment and facilities to businesses and organisations. We aim to create an inspiring working environment with views over Mary Lake. Memberships are available for occasional or long-term use. 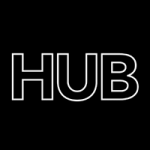 The HUB South Shore is a coworking space that connects progressive businesses and people together so innovation and enterprise can thrive. We enjoy the freedom to run our own lives and depend on the motivation, productivity, and creativity that comes from working with others. Amazing restaurants, espresso bars, and bakeries are just a stones-throw away. Give these a try: Lanna Thai, Fancy Pants Café, The Interval Café, and Weagles’ Bakery. And if you’re looking to unwind after a hard day of cranking-out your best work, we’ve got you covered! Grab a cold beverage at The River Pub right next door, walk across the street for some live entertainment at the new Art Happening space, or spend a few quite moments reflecting on the day at the amazing King Street Court park just a few steps away. 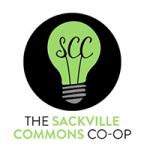 The Sackville Commons Co-op is collaborative workspace, event space and community resource hub located in downtown Sackville New Brunswick. 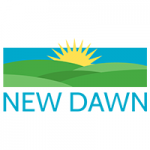 Based out of the former firehall & police station, this non-profit social enterprise has a focus on rural community economic development, & inclusivity. 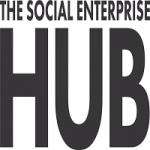 Home to startups, entrepreneurs, community organizations & social enterprises– we provide free consultations, business services & support to our members to help people at any stage take an idea to action. We’re better when we work together. Planet Hatch is Fredericton’s entrepreneurial hub, where startups are connected to the best resources in order to help them soar. We focus on providing mentorship, targeted programming, and networking for startups in all sectors. Our collaborative state-of-the-art space is ideal for companies who are searching for inspiration, collaboration, and Java Moose coffee! At Impactory, we know how distractions related to working from home can affect productivity. Between the bed being a little too comfortable, the cat following you around or the background noise when you opt for coffee shop next door, it is easy to lose focus. For those reasons, the idea came to us to create a workspace that combines comfort and total flexibility. 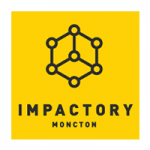 Facilitating the sharing of knowledge while providing networking opportunities designed for startups , small businesses and self-employed professionals…from there Impactory was born! 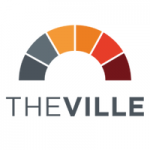 Located in the heart of Moncton, this coworking space provides an environment both friendly and professional, promoting working, learning and sharing: the perfect synergy for small businesses or creative, administrative and cultural industry workers. ConnexionWorks is a creative and inspiring solution for a collaborative workspace in Saint John. 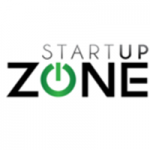 It is open to various individual start-ups and small to medium sized businesses alike. 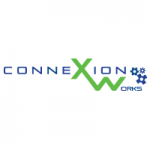 ConnexionWorks will be a venue for nurturing natural collisions and collaborative thinking. Its prestigious location will be the physical knowledge core of our community.